Consumers worldwide continue to adopt and use technology in their shopping experience. Faced with rising customer expectations and increasing competitive pressures, retailers now are prioritizing in-store innovation. 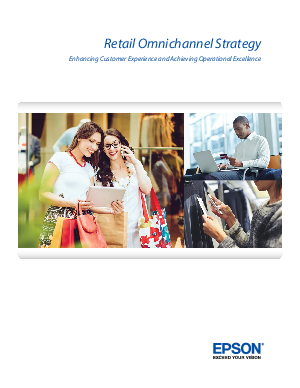 Many retailers have adopted multichannel implementations, in which mobile, web, and in-store shopping are enabled but not delivered consistently to the customer. Enter omnichannel - a retail approach that uses integrated back-end infrastructure technologies (e.g., servers, databases, etc.) and cloud-based services (e.g., loyalty programs, personalized recommendations, inventory management, etc.) to improve many aspects of store and enterprise operations. This guide examines the current state of retail’s evolution from multichannel to omnichannel strategies and separates the differences between the two. It also explains the impact of omnichannel on future businesses, and a method of evaluating technologies available on the market today.